Do you know about Barmoires? 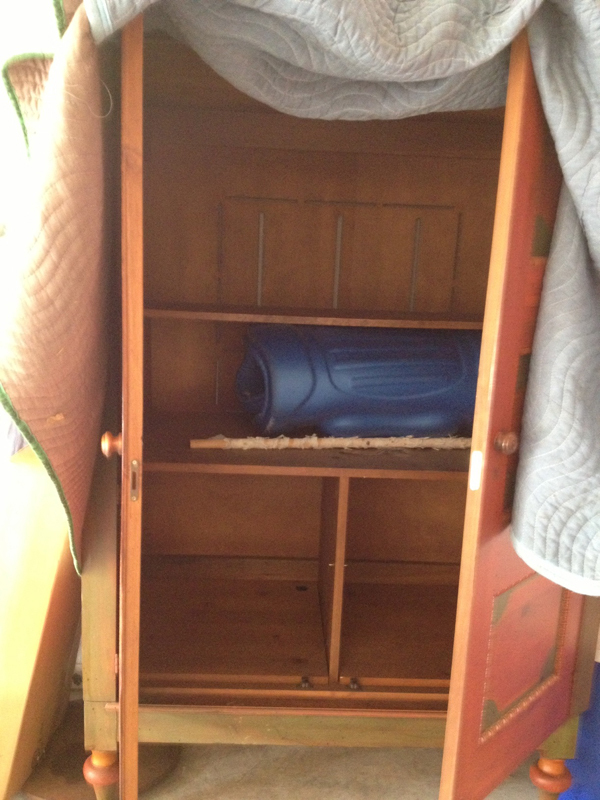 You guessed it- a bar within an armoire. Apparently they are a 'thing' as Jessica was the one who introduced me to the term when I asked for her opinion on paint colors. I have known the concept all my life because my parents always had their bar in an antique armoire, but I'm loving this new-to-me term 'Barmoire'. Sounds exciting right? I bought this Crate and Barrel armoire right out of college with my first job's signing bonus. It was so exciting. I needed a place for my TV and extra storage. So I bought this thinking I was the coolest person on earth (needless to say interior design blogs didn't exist back then. It served its purpose well for many years but the colors just didn't cut it anymore. It has been in my garage for years and I almost got rid of it a few times and just recently realized what an amazing bar it would make. Plus what a fun DIY this would be. The sky is the limit and I'm dreaming big...so let's see how it all develops. But this is what I'm thinking. 1 || I want to paint the outside and inside. I was thinking a navy blue outside and then yellow for the inside? I'm still undecided. 2|| This needs a mirror backsplash. Ikea sells these mirror tiles with tape on the back that could be an interesting option. 4 || How fun would it be to have some sort of neon sign inside to say something like 'Cin, Cin' or "La Vie en Rose'. Check out this place that sells letters individually. 5 || And of course I would pack it in with beautiful accesories, bowls, even art leaning against the backsplash? This will just be icing on the cake. I'm so inspired and have so many ideas rolling around my head. Give me a while until I report back. Any fun home projects that get your juices flowing lately? what are you working on? ooo that armoire is going to look fantastic! can't wait to see how it turns out! Fun! Can't wait to see it! Ahhhhh loving all of this GURL. I love me a good bar. I'd never heard of a barmoire but I'm loving it! Your plan is fabulous and thank you for a neon sign source. I am in love with this idea! I love upholstered inside and neon signs - this is my kind of bar! This is a great idea! I can't wait to see how it comes out–I'm dying to figure out a way to get a bar into our apartment. Yes, I love the idea of a mirrored armoir, oh, can't wait to see what you do! I have complete faith in your talent - can't wait to see!! This is going to be GOOD!!!! Im so excited for this project. I remember this piece from NY! Oh how time flies! I can't wait to see. Wow, can't wait to see your new barmoire finished! I can't wait to see it finished it sounds like it will be amazing! We've been working on filling ours with bath stuff. I saw one of these in the decor book, Big, Easy Style, a few years back. It is in the author's(Bryan Batt of Mad Men)home and is to die for. (so is Bryan)I have been wanting to make one ever since. I cannot wait to see yours!!! Good luck and check out Bryan's. (just google Bryan Batt's Barmoire)You won't regret it! LOVE this idea. You totally need a fun neon sign inside! Can't wait to see it come together. I'm so excited about this post! My boyfriend decided we need a scotch cabinet, which I think is fab except everything he sends me is HIDEOUS. I've been on the hunt for a vintage armoire of sorts, you are on the right track sister! This is such a great idea. 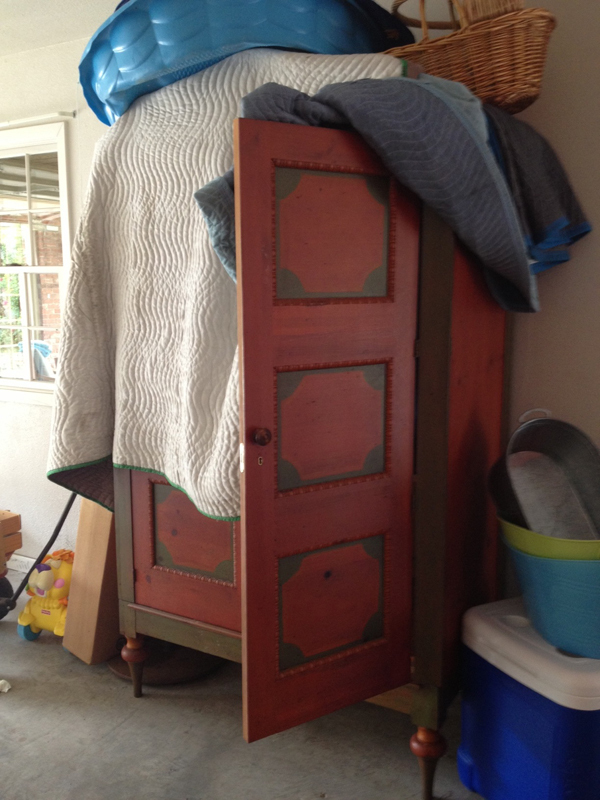 Nobody knows what to do with their old armoire's since the televisions got so slim. A bar would be perfect. Great picks! I love the blacksplash! Can't wait!!!! This is going to be fabulous! A barmoire? This is amazing! There's dead space in the hallway outside my bedroom - installing a barmoire would be a great idea. I can't wait to see how yours turns out. What a great idea - I love repurposing things for other uses, especially in decor. You'll have to share how it turns out - I can't wait to see! What a fun idea! I love the idea of a mirrored backsplash and can't wait to see how it turns out! Ha! The first "real" (i.e. not thrifted or hand me down) piece of furniture I bought was very similar to this! I can totally relate! I used to love that thing and now I shudder. I am loving the idea of turning yours into a bar. Very Mary McDonald! She did one like this! Can't wait to see how it comes out!